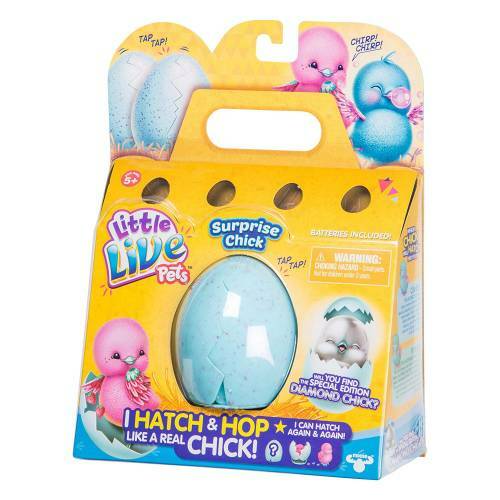 Get excited - your surprise Chick is about to hatch watch in amazement as your chick hatches right before your very eyes. 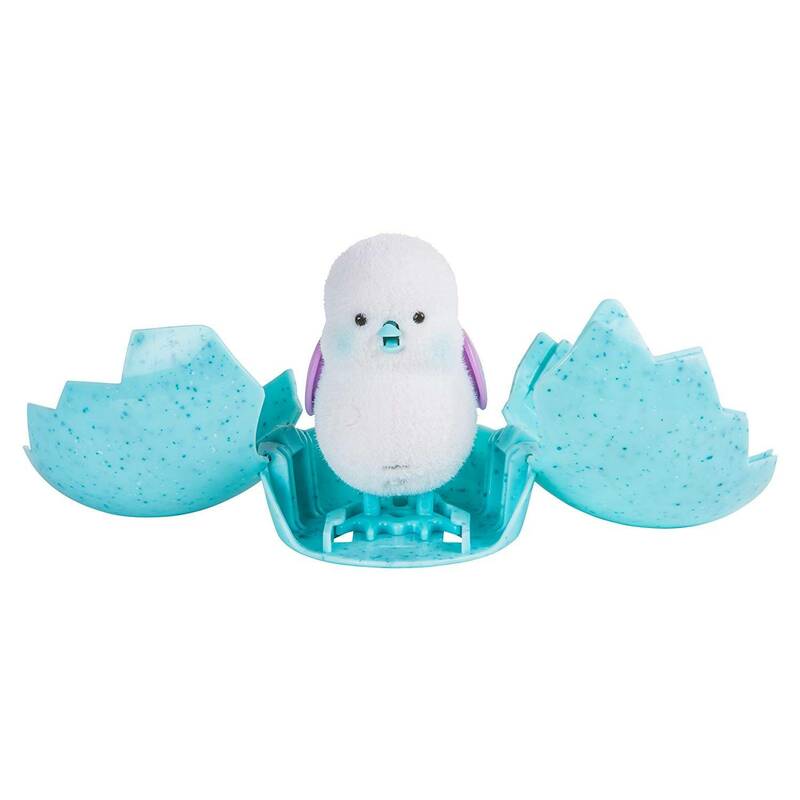 Listen to it tap and chirp inside the egg then it will hatch out and start to hop about Once your super cute Chick has hatched it can be rethatched again and again for endless fun The more you pet your chick the more it will chirp and sing. 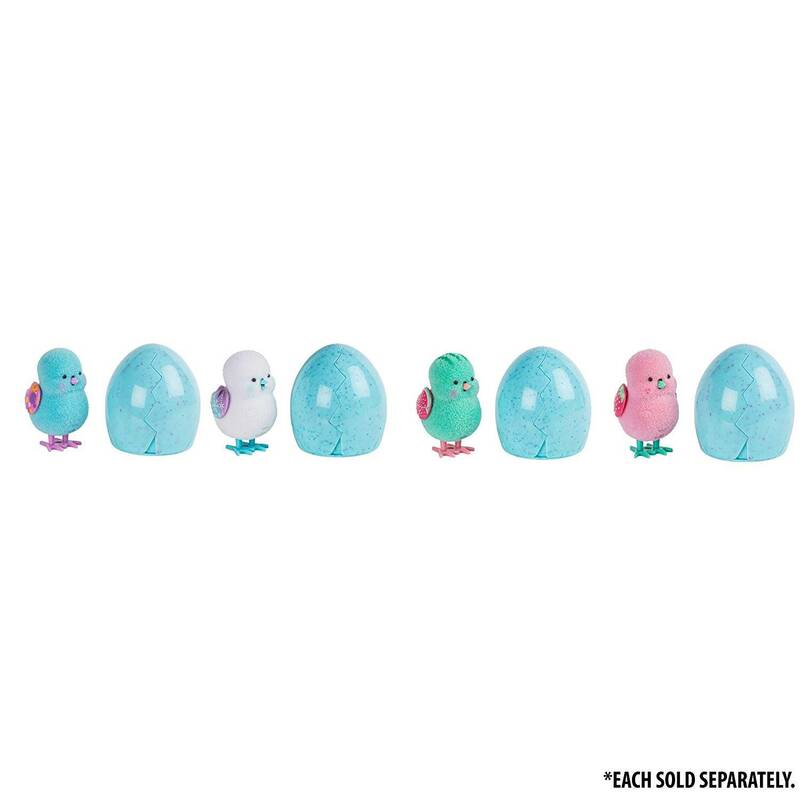 Which Chick will hatch for you - there are 4 to collect. 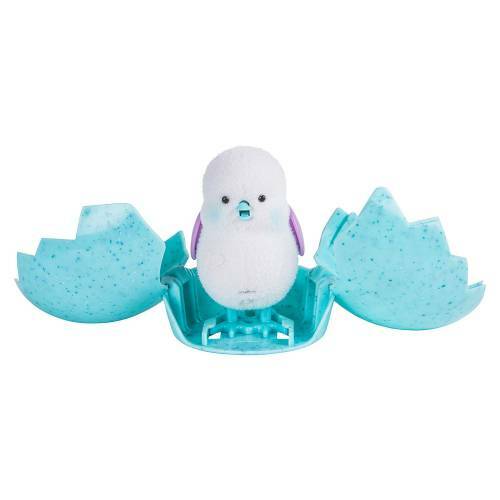 Or will you find dazzle the diamond Chick You wont know until they hatch and say hello.